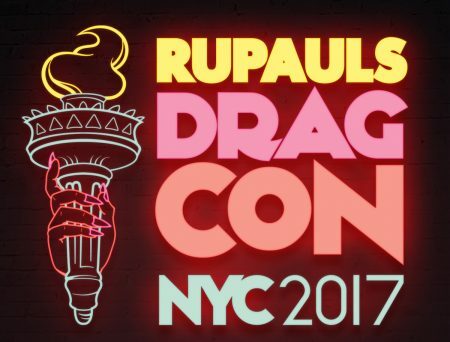 For the first time RuPual’s Drag Con came to New York City, finally giving everyone on the eastern half of the country access to all the most famous drag queens. The weekend event was held at the Javits Center on Saturday, Sepetember 9th and Sunday, September 10th. Over 35,000 people attended the two-date extravaganza, proving that is was a sure success. Many of the most beloved RuPaul’s Drag Race queens had booths including: Aja, Alexis Michelle, Bob the Drag Queen, Cynthia Lee Fontaine, Darienne Lake, Derrick Berry, Detox, Dita Ritz, Farrah Moan, Gia Gunn, Ginger Minj, India Ferrah, Ivy Winters, Jiggly Caliente, Kim Chi, Kimora Blac, Laganja Estranja, Laila McQueen, Manila Luzon, Mariah Balenciaga, Milk, Mimi Imfurst, Miss Fame, Mrs Kasha Davis, Naomi Smalls, Ongina, Pandora Boxx, Peppermint, Phi Phi O’Hara, Raja, Sasha Velour, Shangela, Shea Coulee, Stacy Lane Matthews, Tammie Brown, Tempest Du Jour, Thorgy Thor, Trinity K Bonet, Trixie Mattel, Violet Chachki, and Vivacious. All of the favorite judges were there including Carson Kresley, Michelle Visage, and Todrick Hall, and of course the queen of the world, RuPaul herself. In addition to the queens, there were booths for major vendors like Marek+Richard, Swiss Embassy, Obsessive Compulsive Cosmetics, Jeffree Star Cosmetics, Alex Tour Corsetry, Dirt Squirrel, and many many many more, from wigs to makeup to t-shirts to fans to jockstraps to nailpolish to heels. Representatives from GLAAD, GAG (Gays Against Guns), Hornet, and World of Wonder also were selling merchandise. 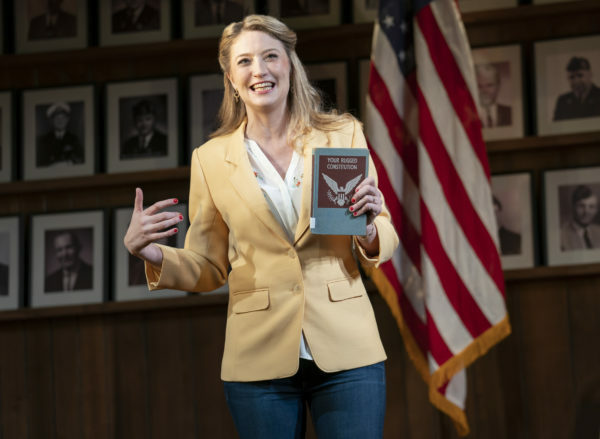 Throughout the two days, there were numerous panels on topics such as political activism, New York club culture, social media, music, fashion, fake news, and Broadway. What made Drag Con so magical was the accepting environment of all types of queerness. For two days there was a microcosmal oasis of drag where an amazing group of queer people young and all, of all races, genders, sexualities, and abilities came to together to celebrate the art of drag. Much like Pride events, Drag Con gave all the people there the opportunity to be whoever they want to be, to wear the heels and the wigs and the makeup and the dress and glitter. This event let everyone be proud and be with peers who respect and love each other devotedly, far away from the terrifying political landscape of fear and hate. In this wonderful spirit of political resistance and accepting, the current reigning queen Sasha Velour (winner of Season 9 of RuPual’s Drag Race) ended the weekend with her monthly drag revue Nightgowns at the NYU Skirball Theatre. Although this event usually occurs in Brooklyn in small venues, to end this massive weekend, it was moved to a larger venue closer to the convention center. In addition to jaw-dropping performances of “So Emotional,” “Praying,” and “Rainbow” by Sasha Velour, which brought the audience to standing ovations ever time, there were amazing performances by Aja, Pepermint, Shangela, Untitled Queen, Bob the Drag Queen, Olive d’Nightlife, Heather, Alexis Michelle, Kandy Muse, Vander von Odd, and Vic Sin. The show featured experimental drag that was compelling, captivating, moving, emotional, poignant, political, and mesmerizing, and beautiful.